We as viewers of art, generally, see and can connect one stage in art history to another. What we do not often see and recognise is the effect which one people’s art has on another. One of the most obvious times in which we can observe the effects was back in the 1530’s after the Spanish conquered the Inca Empire. The #CuzcoSchhol ( #EscuelaCuzquena ) was a Roman Catholic artistic tradition based in Cusco, Peru. The Spanish wished to convert the Incas to Catholicism. To aid in this endeavour a group of religious artists were sent to Cusco to form a school to teach drawing and painting techniques. The results of this were not confined to the city of Cuzco but spread to other cities in the Andes as well as present day Ecuador and Bolivia. The resulting art had exclusively religious subjects. Perspective was generally lacking and the use of reds, yellows, and earthy colours predominates in the works. 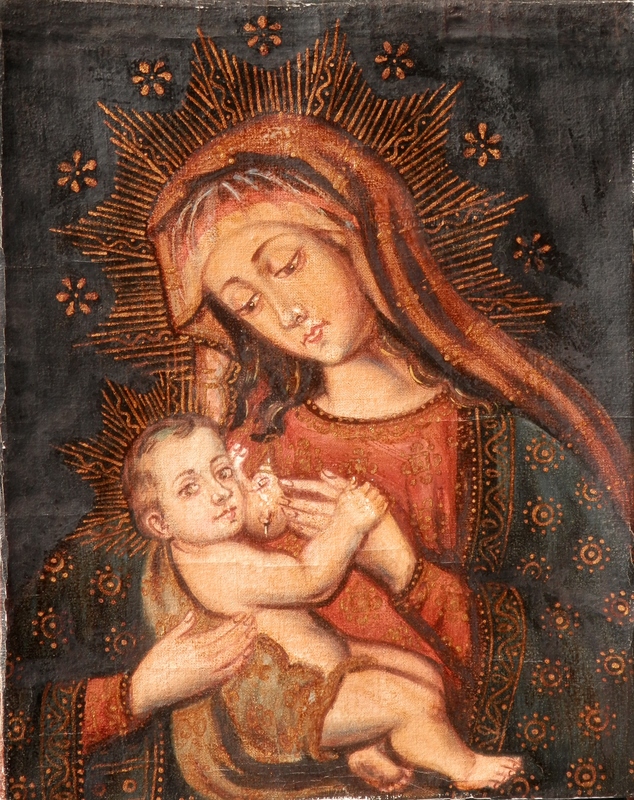 They are also notable for the lavish use of gold leaf,especially with regards to images of the Virgin Mary. The works were freer than those of their European tutors with the use brighter colours and distorted, dramatic images. They adapted depictions to include their native flora and fauna as a backdrop. 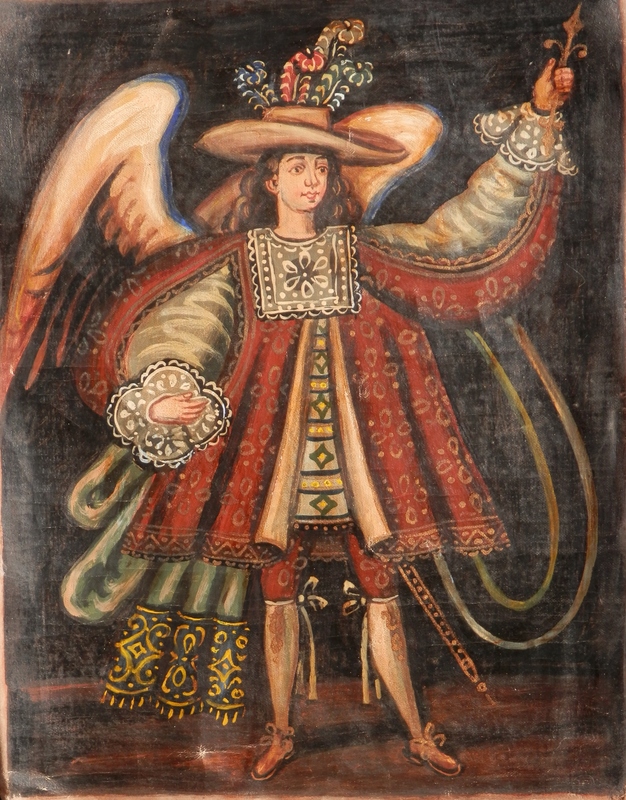 As can be seen ‘warrior angels’ often in Spanish regalia became a popular motif in the #Cusquena paintings. The two images are of two recently acquired paintings and from them one can experience all the ideas which I have been talking about in the chapter. This entry was posted in Oil Paintings and tagged archangel, halo, Madonna and Child, Our Lady of the Milk, warrior angel, wings. Bookmark the permalink.